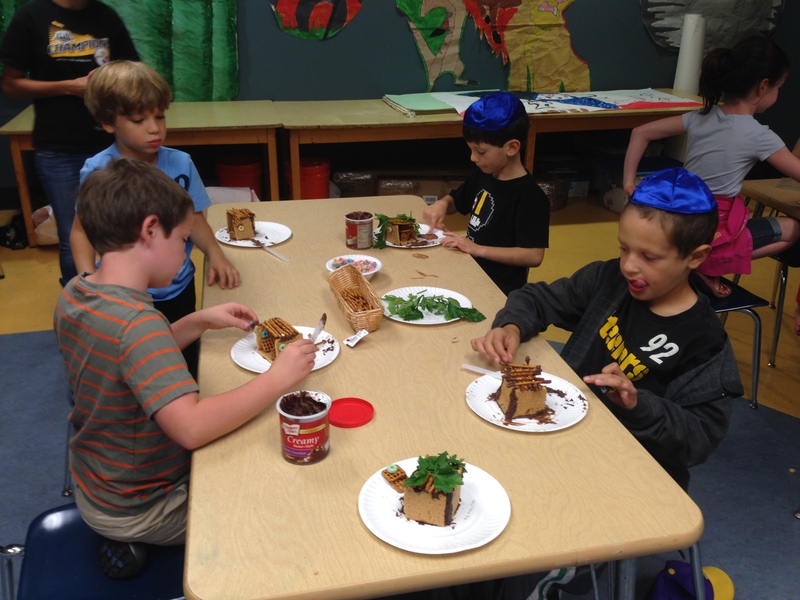 K-2nd Graders Make Edible Sukkot! Our J-JEP K-2nd Graders made edible Sukkot out of graham crackers, pretzels, chocolate frosting, fruit loops and parsley. We send a big thank you to Mary Ellen Elias and her daughters for helping!